Our S.E. 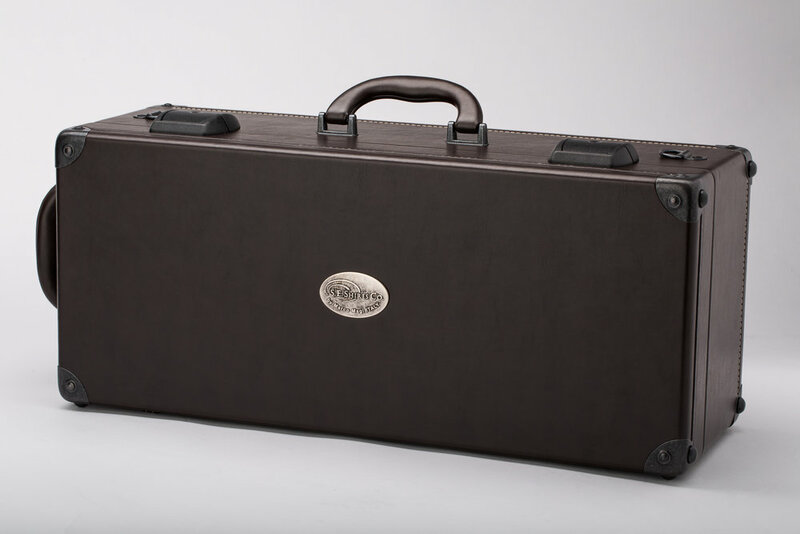 Shires single trumpet case features a streamlined polyurethane shell construction, reinforced lid, dark brown leatherette exterior, and Shires logo medallion. This case stores one Bb or C trumpet horizontally offering a supportive and tailored fit, and also features a small accessory compartment with lid for mouthpiece and oil storage. Our S.E. Shires double trumpet case features a compact polyurethane shell construction, reinforced lid, dark brown leatherette exterior, and Shires logo medallion. This case stores two trumpets vertically and offers superior support and a tailored fit. This case also features two accessory slots for mouthpieces, oils, or for additional Eb/D trumpet 1st and 3rd valve slides. Our S.E. 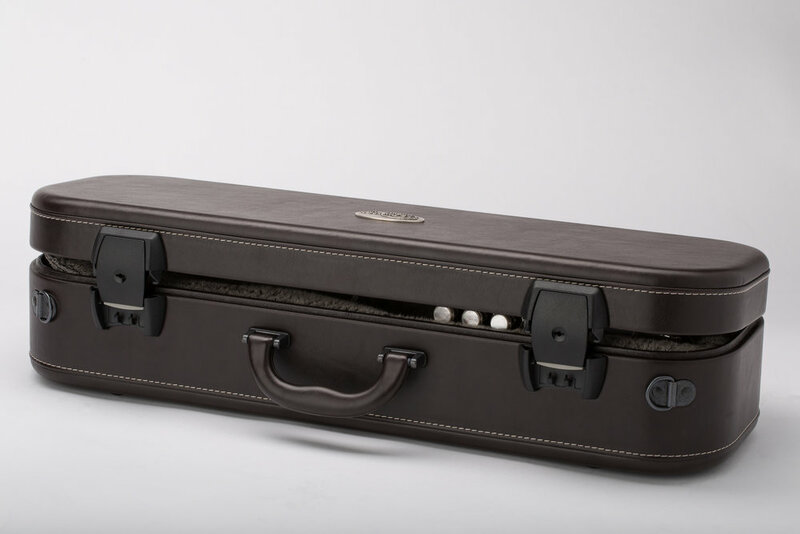 Shires piccolo trumpet case features a compact polyurethane shell construction, reinforced lid, dark brown leatherette exterior, and Shires logo medallion. This case stores one piccolo trumpet horizontally and offers superior support and fitting. This case also features a mouthpiece slot and an accessory compartment with leadpipe pouch and storage.